Spring is coming to Cape Town and we are gearing up to kick off our biggest ocean season yet! 17 -19 August we ran a full weekend course for 20 new coaches. We’re so ready to kick off our spring ocean workshops next month. 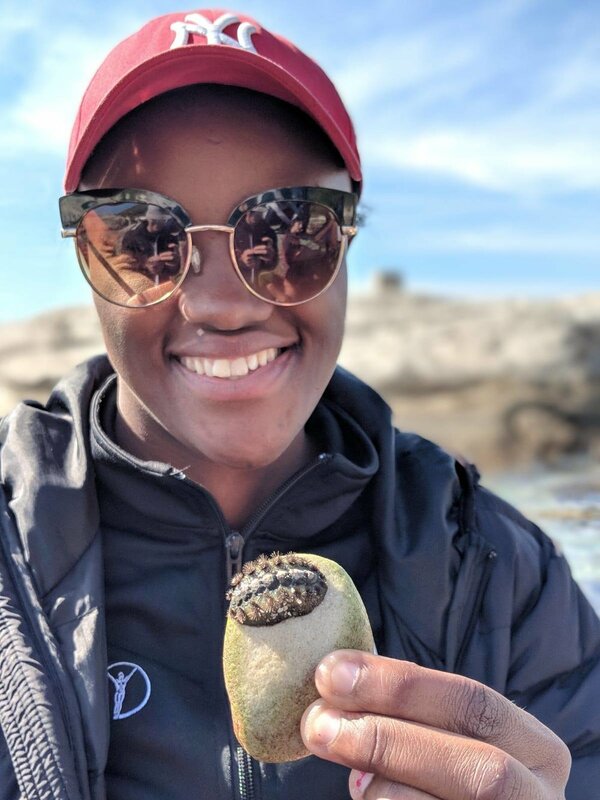 As you know, we work with taking Grade 7 students out of school to the beach for two days: combining marine biology lessons with rockpool explorations, beach cleanups and conservation teaching and of course... snorkeling! The next few months will see I AM WATER run 30 (!!) 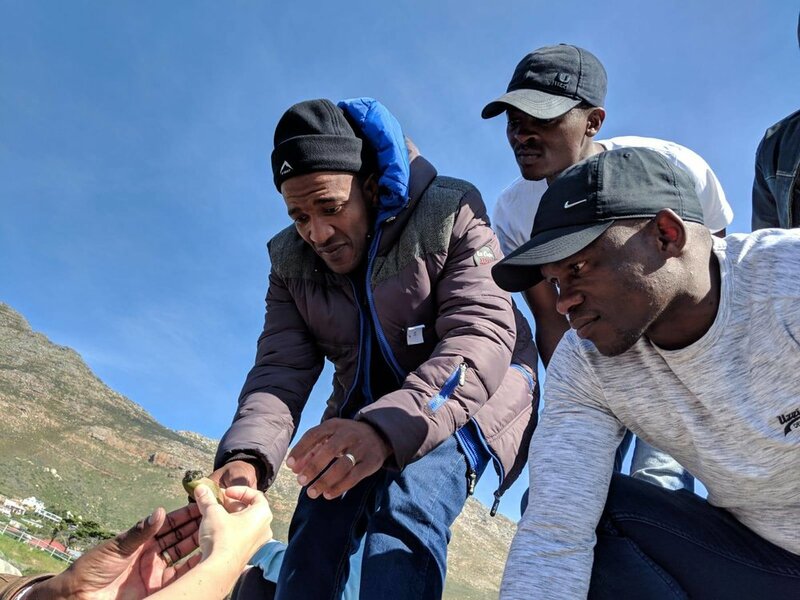 2-day workshops for Grade 7 students from low income communities along our coastline - that’s over 700 kids getting to see beneath the surface for the very first time! 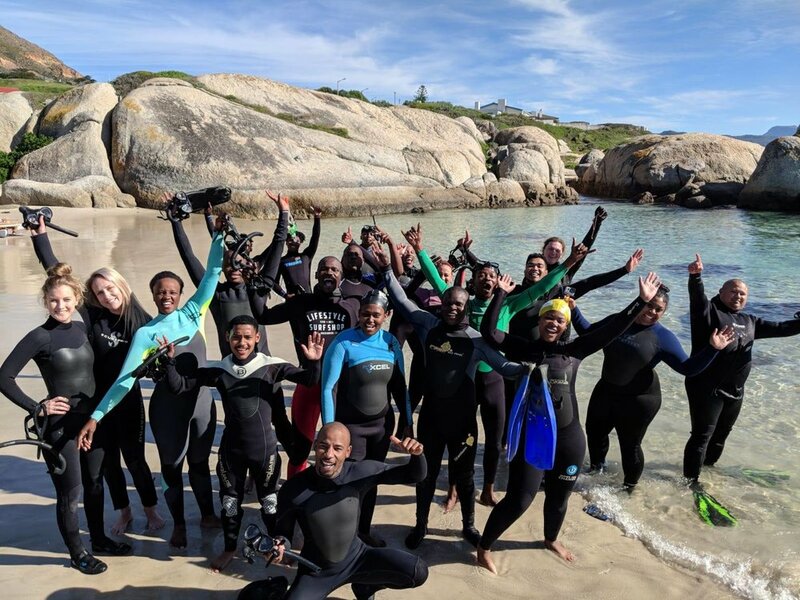 If you are in Cape Town and want to become an I AM WATER Coach - please email us at info@iamwaterfoundation.org and if you're an international interested in working with us, please look at our I AM WATER Ocean Leaders Internship Program online application form. Read instructor trainer Peter Marshall's full blog report here. I AM WATER was proud to be part of the ADIDAS x PARLEY launch of 'Run for the Oceans' on World Oceans Day in Los Angeles. 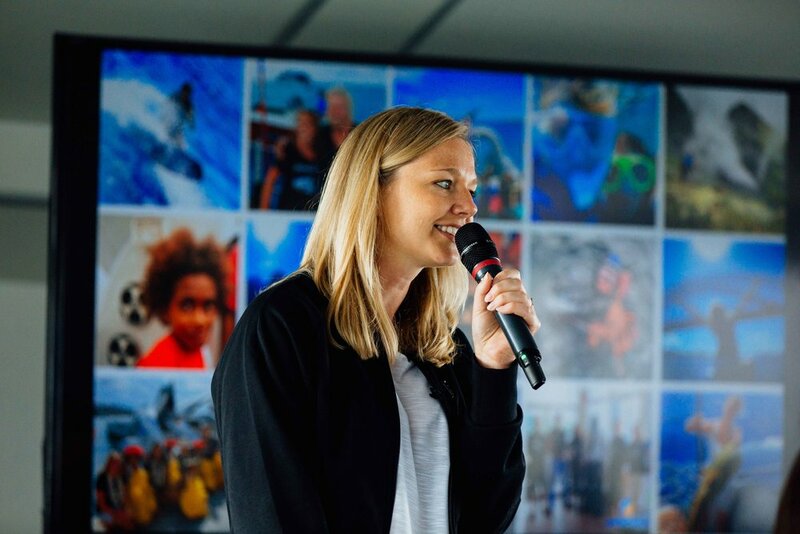 Hanli Prinsloo hosted the global media team for a day of ocean conversations, breath work and snorkelling around Catalina Island. Not only are the Adidas x Parley UltraBoost running shoes made from 11 plastic bottles, but 8 June - 8 July runners all around the world came together to make every km count - with Adidas tracking the runners on the Runtastic App and donating $1 for each km run up to $1 million! Did we reach the goal of $1 million / km!? 'More than 900,000 runners... over 12 million km covered... This is more than a movement. It’s a revolution...' Read more on the Parley website. Watch OG Molefe's news story on eNCA about Adidas x Parley & I AM WATER.